Technology to the rescue! 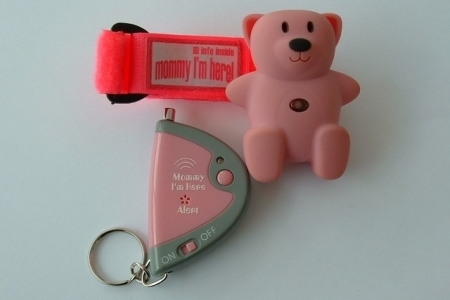 Keep your child within earshot at all times with this revolutionary device that uses a small key chain transmitter and a teddy bear-shaped receiver which mounts easily to child’s shoe or wristband. 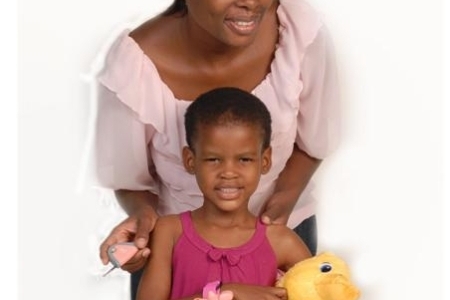 The Mommy I’m Here Alert is a basic tracking system with its own radio frequency to help you track and find your child up to 50 metres away. That’s about half the length of a football field. If your child wanders off more between 3 to 10 metres, the new Alert feature will cause the remote keychain to beep, alerting you that your child is out of sight. You can get it in pink or blue.